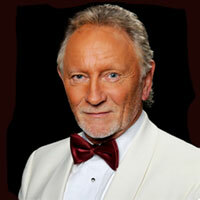 Phil Coulter is up in that Pantheon inhabited by the biggest selling recording artistes of all time in Ireland, rubbing shoulders with Bono and the Boys. From Derry, Northern Ireland, Phil has performed with everyone from James Galway and the London Symphony Orchestra to Nanci Griffith and The Blue Moon Orchestra, not to mention Henry Mancini, Elmer Bernstein and Quincy Jones. He has contributed at least four titles to the list of Great Irish Songs – the anthems The Town I Loved So Well and Irelands Call and the haunting Scorn Not His Simplicity and Steal Away. We welcome him back to San Francisco to the United Irish Cultural Center. A night not to be missed!